Jessica Thorpe didn’t let deploying to the Persian Gulf get in the way of completing her Associate of Arts degree — she completed it under combat conditions, with intermittent computer/Internet access and temperatures that exceeded 100 degrees! 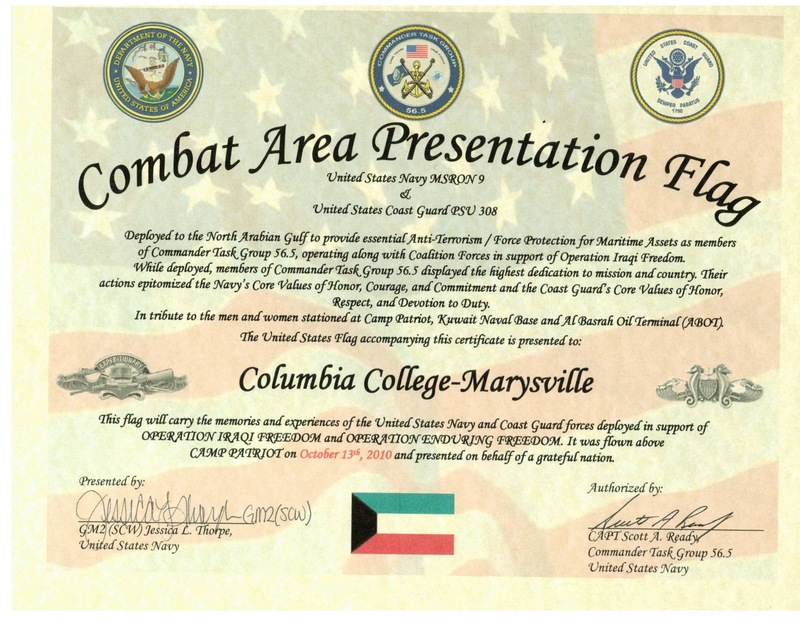 Columbia College–Marysville/Everett is extremely proud of Thorpe, her shipmates, all of the dedicated Armed Forces servicemembers. 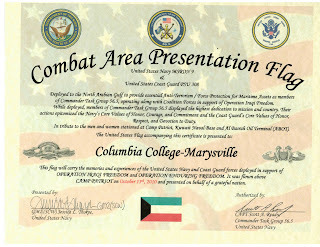 We will proudly display the U.S. flag that has flown over Camp Patriot in the north Arabian Gulf while in support of Operation Iraqi Freedom and Operation Enduring Freedom, as presented by Petty Officer Thorpe and Commander Task Group 56.5, U.S. Navy to Columbia College–Marysville/Everett.